27 Oct Cristina Kim’s Dream! Inni has been with me since as far back as I can remember. In fact, if it wasn’t for my Inni, I wouldn’t be where, or who, I am in my life today. Having grown up largely on my own, it was my natural trust in Inni that helped to shape my sense of right and wrong, good and bad. I was lucky to not only have my Inni, but to have met her at a young age, and to trust her. I just knew I could. I guess that was my Inni telling me I could, even way back then. 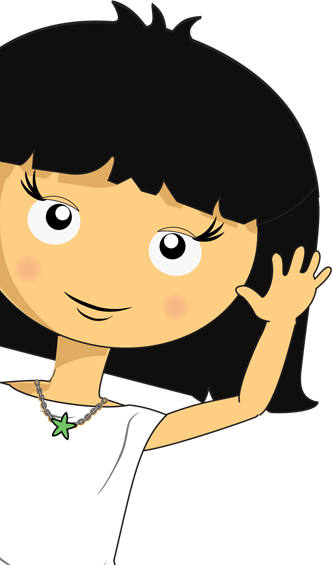 I created mybestfriendinni to introduce children to their intuition and core values, all through storytelling. It has always been an important goal of mine to take my business experience and bring it to a place of doing social good, and creating positive difference. My passion is fuelled by my love for children, and my belief that in today’s digital age, a different approach is needed to help them be the best that they can be. Not only as mini citizens of our world today, but also as our leaders and adults of tomorrow. Kids are kids. They are unfettered by filters and biases, they live in the moment, and are beautifully innocent and inquisitive about life. In the purity that is childhood, kids feel their intuition. We know this because we were all kids once, and we all did. What I want to do with mybestfriendinni, is to take the age-old concepts of intuition and core values, and bring them to life. Literally, as characters. Kids love characters. Whether it was Cookie Monster from Sesame Street, or Cinderella from Disney, we all knew and loved characters. Relationships with characters are some of the first that kids build, outside of their family. Through our characters, children have an opportunity to learn about different life lessons, including how our intuition helps us decide which values we need to use in different situations. And kids love stories. Storytelling is as old as humankind itself, and children love to hear a good story. I want to bring the concepts of intuition, core values, characters and storytelling together with mybestfriendinni. I want to bring a fresh and new way to help develop our kids in areas of social and emotional development, and self-management of their own behaviours. 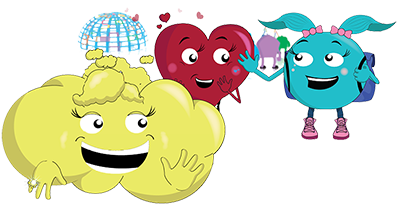 Our stories help kids understand what that “gut feeling” is all about, and most importantly, that they can trust these feelings, and that these feelings are their best friend Inni. All of this is what I like to call, The Intuition MovementTM. Here we go!